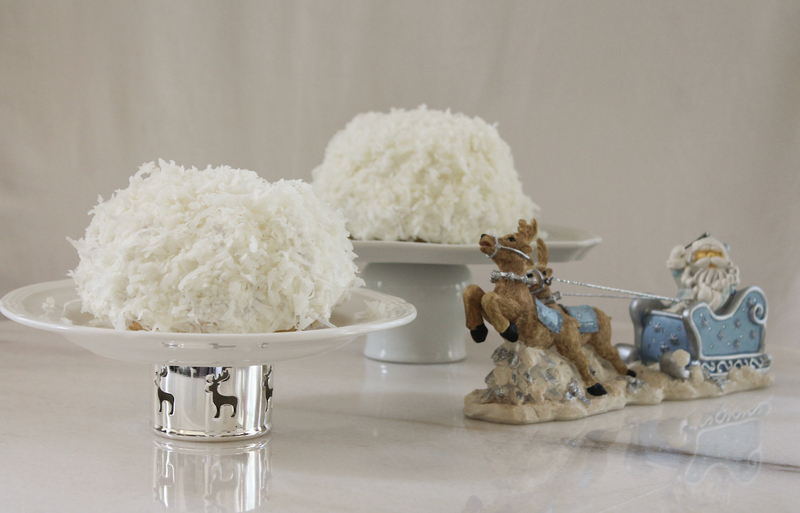 Coconut snowball mini Bundts are subtly coconutty inside and full-on coconutty outside. Best of all, they look like small snowballs, perfect little sweet gifts for your neighbors and friends. If you can bear to give them away. This month our Bundt Bakers’ theme is Winter Wonderland so we’ve got lots of great cakes for you with holiday flavors. I wasn’t sure if coconut was necessarily a traditional choice but last weekend I was at a friend’s house and one of her current food magazines had a gorgeous photo of a three-layer coconut cake with the caption: The only Christmas cake you need to make. Or something like that. We all agreed that it would never be the only Christmas cake one needs to make, because it’s clearly not actual Christmas cake as we know it. But it would be nice, if you like coconut. Which I most certainly do. 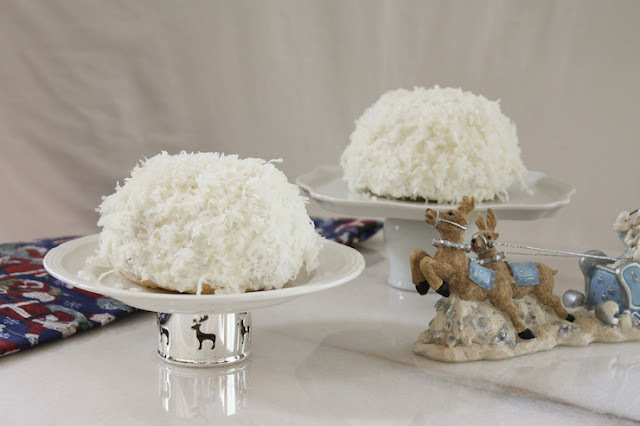 With that in mind, I baked these little coconut Bundts, because they look like snowballs. Preheat the oven to 350°F or 180°C. Grease and flour your Bundt pan. Set aside. 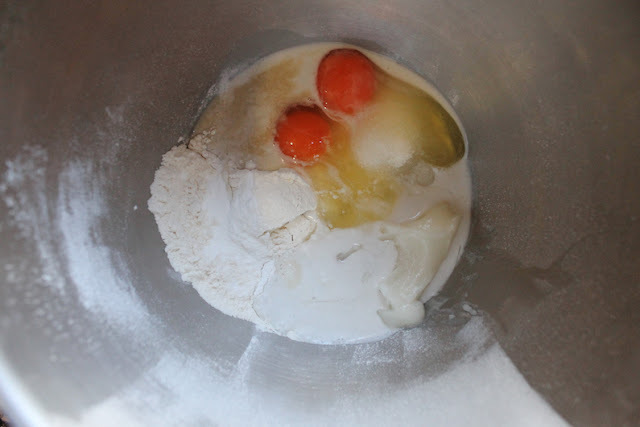 In a large mixing bowl, beat all of the cake batter ingredients at low speed until well mixed, scraping down the sides of the bowl frequently with a rubber spatula. Put it all in at once. Super easy. 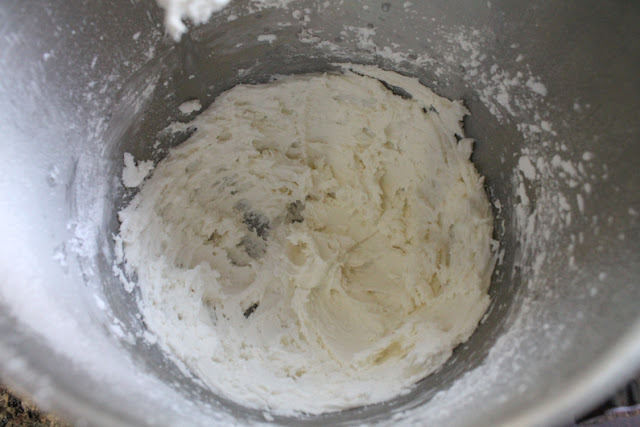 Increase the beater speed to medium and beat for five minutes, stopping every couple of minutes to scrape down the sides and bottom of the bowl. 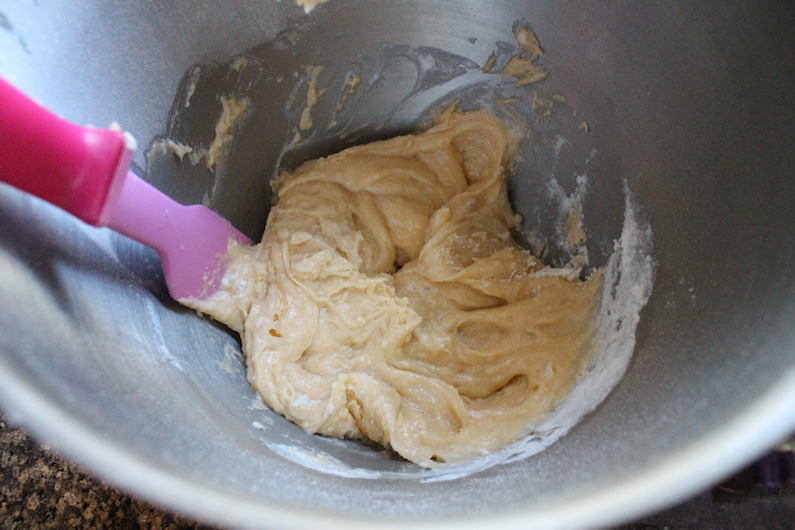 Slowly pour the batter into your baking pan. Smooth out the top with your rubber spatula. This is a Nordic Ware Duet pan. Bake in your preheated oven for 32-38 minutes or until golden on top and a toothpick inserted comes out clean. Remove from the oven and cool for about 10 minutes. 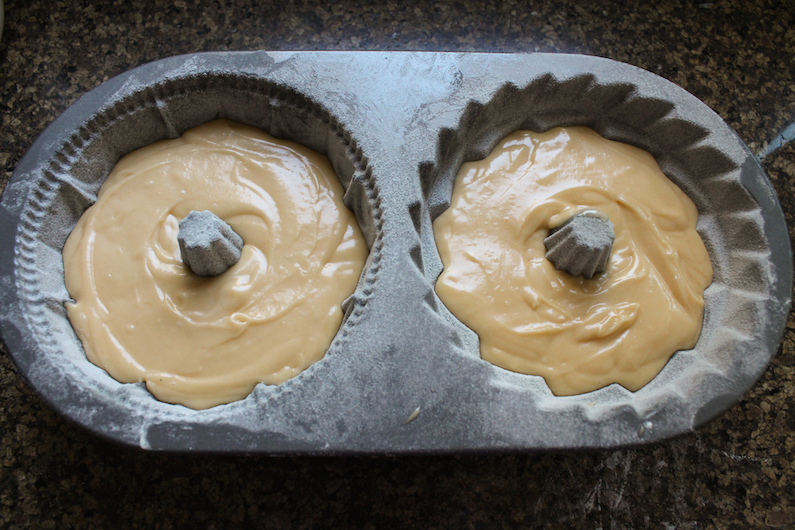 The tiny Bundts should begin pulling away from the sides of the pan. 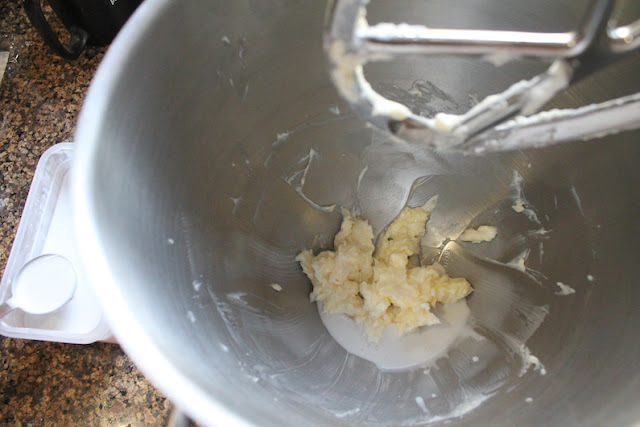 To make the frosting: Beat the butter and/or shortening until fluffy. Beat in the salt and vanilla. Add a tablespoon of coconut cream. Sift the powdered sugar into the mixing bowl and beat until smooth. Scrape the sides and bottom of the bowl. Add the rest of coconut cream a little at a time till you get soft spreadable frosting. 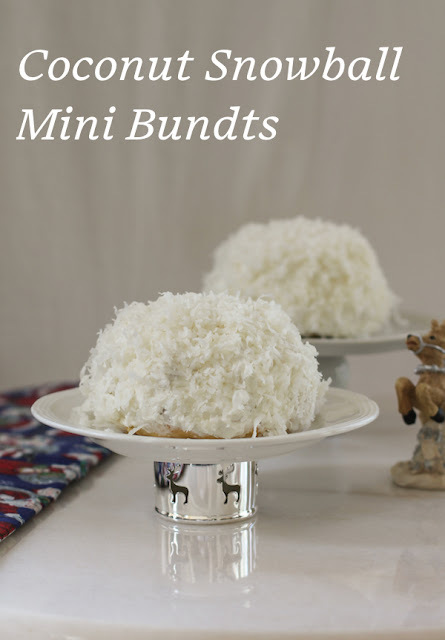 Frost the mini Bundts liberally, then cover with coconut, gently pressing it into the frosting so it sticks. You can leave the hole empty so they still look like mini Bundts or fill the holes with coconut for more of a snowball effect. Many thanks to our host this month, Laura from Baking in Pyjamas. 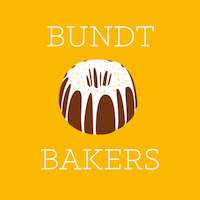 Check out all the other Winter Wonderland Bundts.